EXCLUSIVE: Fans may know her from her role on Lost or Twilight, but Andrea Gabriel continues to expand her resume with more comedic roles. Talking with The Global Dispatch, Gabriel details her motivation behind her new music video “Clever Girl” and where she feels this will lead her career. 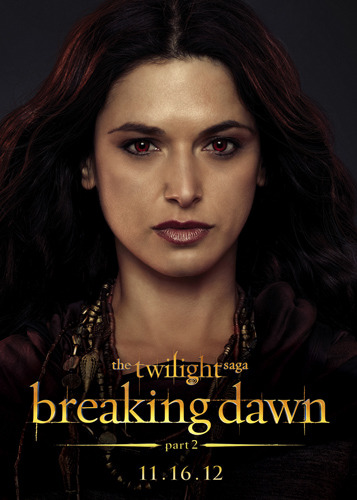 Andrea starred in the final Twilight film, Twilight: Breaking Dawn part 2, as Kebi, part of the Egyptian coven, as well as Nadia on the hit show Lost. “Because I came in late,” she says when asked why fans don’t recognize her from the Twilight series before admitting that from time-to-time people do see her as Sayid’s love interview from Lost. While speaking about Lost, and praising casting director April Webster, Andrea chronicles the early days from the show, getting cast and heading to Iraq.